Whole Family:Comes in sizes for adults, boys and girls for a picture-perfect matching look during the Christmas holiday. 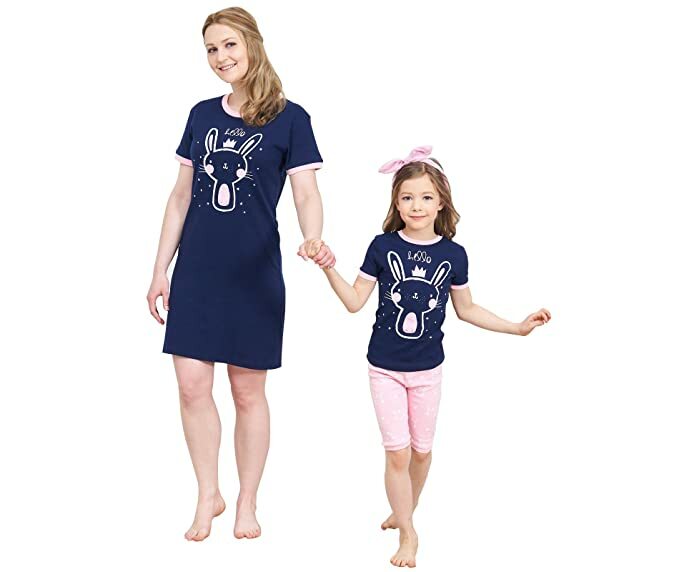 Kids:100% Cotton,Snug fitted pajama set with long sleeves,tagless,crew neckline,ribbed knit cuffs, elastic waistband, and comfortable stretch. Women:Long sleeve 2 piece set,Lightweight knit crewneck top in a comfortable tagless design,ribbed knit cuffs,Printed knit legging pant with elastic waistband and ribbed knit cuffs. Men:Lightweight knit top in a comfortable tagless design,contrast crew neckline and relaxed fit, pants with elastic waistband,easy on/off. NOTE:Must purchase each size individually; sale is only for one pair.Easy care,machine wash.Please choose one or two bigger size for your kids.